England Test Series Full Squad For India Tour 2016-2017 The England had started their test Cricket summer with a bang thrashing the Sri Lanka team and then went onto to draw the test match series against the Pakistan team. Meanwhile, biggest challenge for the Alaistair Cook and his troop will be to face India in India. Well, for many years, it has been the challenge for the touring team to beat India in India. Cook must ahve analaysed the India Test series againat the South Africa and he will closesly to how India thrassed South African batman. But Cook has a sweet memory in India as last time when Cook toured India as a captain then he thrasse India byb 2-1 and there is a guarantee that winnin Test series in India is the biggest acheivement of Coook in his Cricketeing career. Menahwile, Cook must remeber one thating that now Indian team has copmepletely achnaged under the cpataincy of Virat Kohli and it has the match winners like R Ashwin, Ajinkya Rahnae and Virat Kohli. 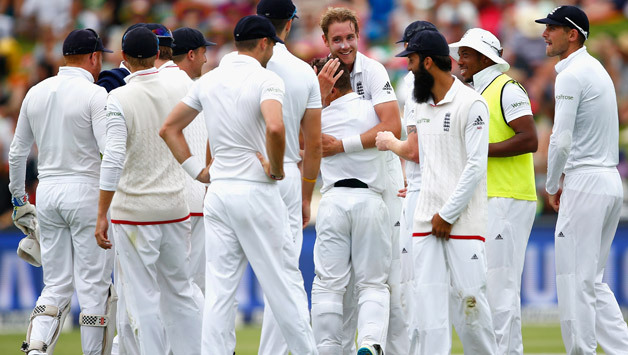 Recently, the ECB selectors named the England test squd for the test series in India. Engaldn will play the 5 test match series gaianat India In India and the first match will be played on November 9 and the final match will start on 19th December. The ECB has dropped Gary Ballance and Jame Vince who failed to make any impact in the recnt Pakistan Test match. The biggest highlight in the England Test squad is the inclusionm of the Delhi Daredevil batsman Sam Billings. Sam Billings earned up his maiden call up for the red ball cricket and it will be intersting to see how ill face the red ball cricket. Menahwile, Joss Buttler also find a palce in Test squad. And in the spin department Liam Dawason has earned call up to play in teh spin friendly condition along with Moeen Ali. But the key players for England will be Alistair Cook and Joe Root, the duo of these players are the consistent run scorers for England team. Alex Hales also find a spot in a squad as selector believes he has the potential to be the permanent test opener alongside captain Cook. Alastair Cook (C), Alex Hales, Joe Root, Jonny Bairstow, Joss Buttler, Ben Stokes, Moen Ali, Liam Dawson, James Anderson, Stuart Broad, Sam Billings, Chris Woakes, Jake Ball, Steven Finn.